For shot-blasting applications high tensile strength(low hardness) soft rubber with excellent mechanical properties Polymax TEKNA are required. This a low hardness rubber specifically for use in Shot-Blasting applications where high abrasion resistance is required also known as Tan Para rubber. TEKNA rubber matting has much higher tensile strength, elongation at break and lower hardness compared to our PROTEK sheeting. 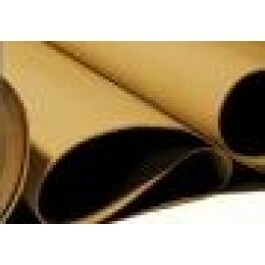 Avoid use of TEKNA rubber sheet with acids, oils alkalis and other chemicals.